Internet shoppers are always on the lookout for great deals, and many wait for the perfect price before deciding to buy. 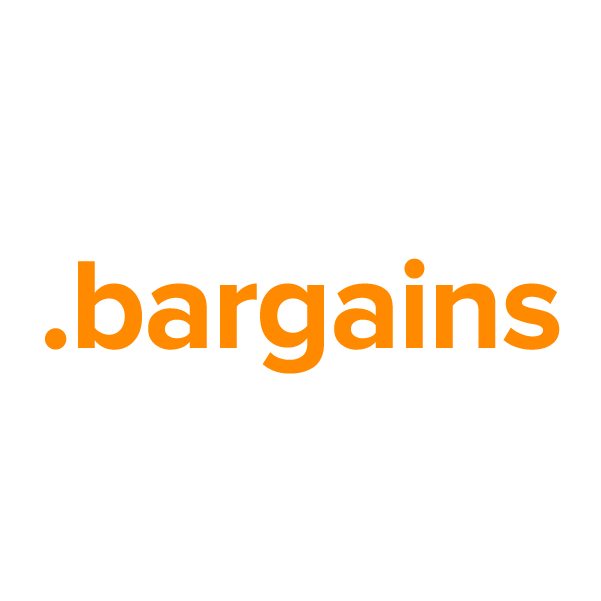 For retailers who offer markdowns, discounts, promos or coupons to promote sales, the .bargains top-level domain provides a relevant and specific online namespace. It's an extension that connects consumers with the right stores, facilitating sales and engaging the market. Register your new .bargains domain name through Namecheap, and you'll be joining the million-plus happy customers who already enjoy our top-notch customer service and rock-solid guarantee. URL and email forwarding, WhoisGuard privacy protection service, dynamic DNS support and other features included at no extra charge.